The two Russian pranksters often present themselves as prominent political figures in order to discuss pressing international issues with prominent figures, including politicians and journalists. Russian pranksters Vovan and Lexus (V&L) have called OSCE Secretary-General Thomas Greminger, presenting themselves as Armenian Prime Minister Nikol Pashinyan, in order to discuss the situation regarding Russian journalist Kirill Vyshinsky, who had been working as chief of RIA Novosti Ukraine, but was arrested by Ukrainian authorities. In the conversation, V&L said that they had allegedly discussed the issue with Ukrainian Prime Minister Groisman and that the latter tried to convince them that Vyshinsky was a terrorist. Greminger assured his interlocutor that he has already sent a letter in the defense of the Russian journalist to the Ukrainian authorities and that his case was on the OSCE freedom of speech department's agenda. 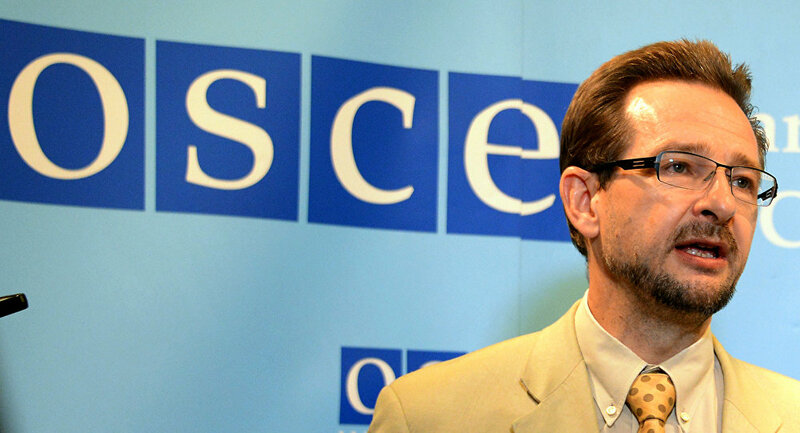 The head of the OSCE also expressed his opinion in the telephone conversation that Ukraine must respect criticism and that arresting Vyshinsky hurts the country's image in the international arena. "If people are imprisoned and silenced. Yeah, it's not the way Ukraine wanted to be perceived by the international community," the secretary-general said. Commenting on the possible release of the Russian journalist, Greminger said that it would definitely surprise many people and would be positively met by the international community. The Ukrainian Security Service (SBU) broke into the office of RIA Novosti Ukraine in Kiev and detained Kirill Vyshinsky on charges of treason. The SBU accuses Vyshinsky of supporting the self-proclaimed Donetsk People's Republic (DPR) and Lugansk People's Republic (LPR) in Ukraine's southeast.